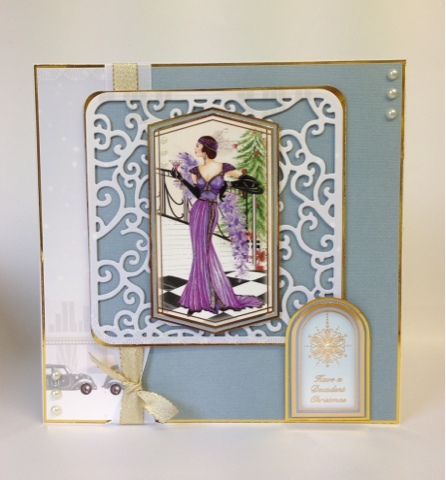 This DT card has been made using Hunkydorys BRAND NEW "festive decadence" blockbuster that has JUST LAUNCHED. Elegant vine square base die set. Sentiment - winter snowfall topper sheet. Blue pastel textured card - Die Cut With A View. 13mm gold textured ribbon - Hobbycraft. Craig I have just looked at lots of cards and I have to say they are stunning. Look forward to seeing more of your work, I think I found you via Sue Wilson's blog.